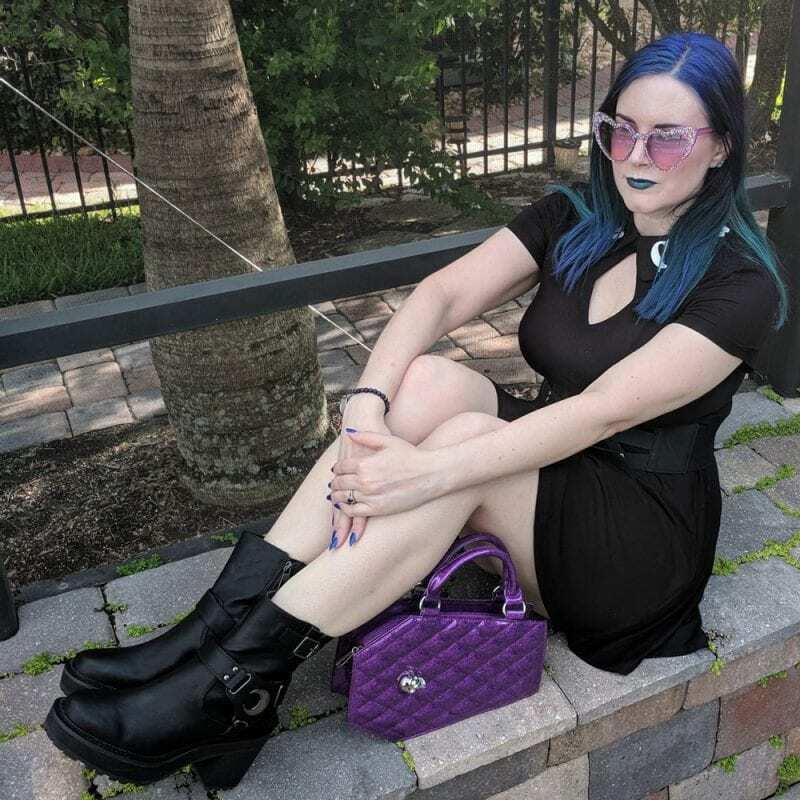 It already feels like summer here in Florida yet it’s barely spring so I wanted to share my favorite sunglasses, gothic style, with you! 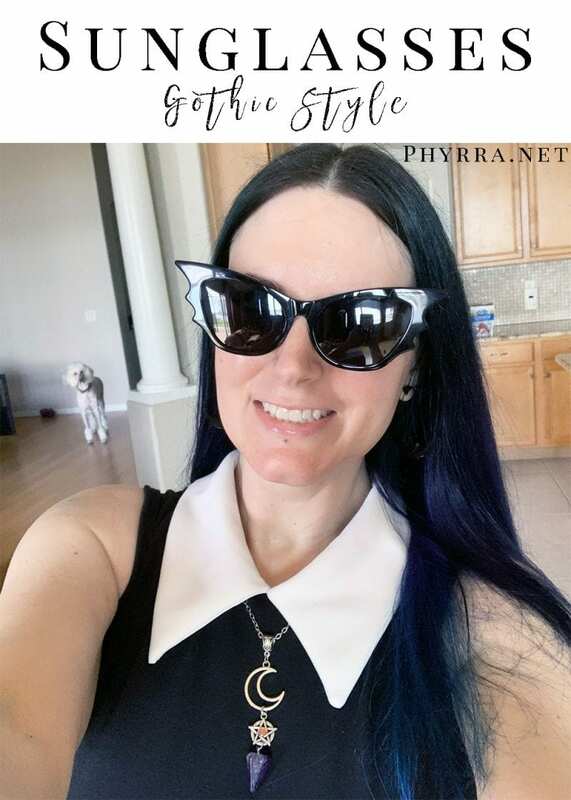 Most of my sunglasses are from indie fashion designers, but I also included my favorite pair from Amazon! Check out my Dress for Spring! Amazon has tons of cool sunglasses available! 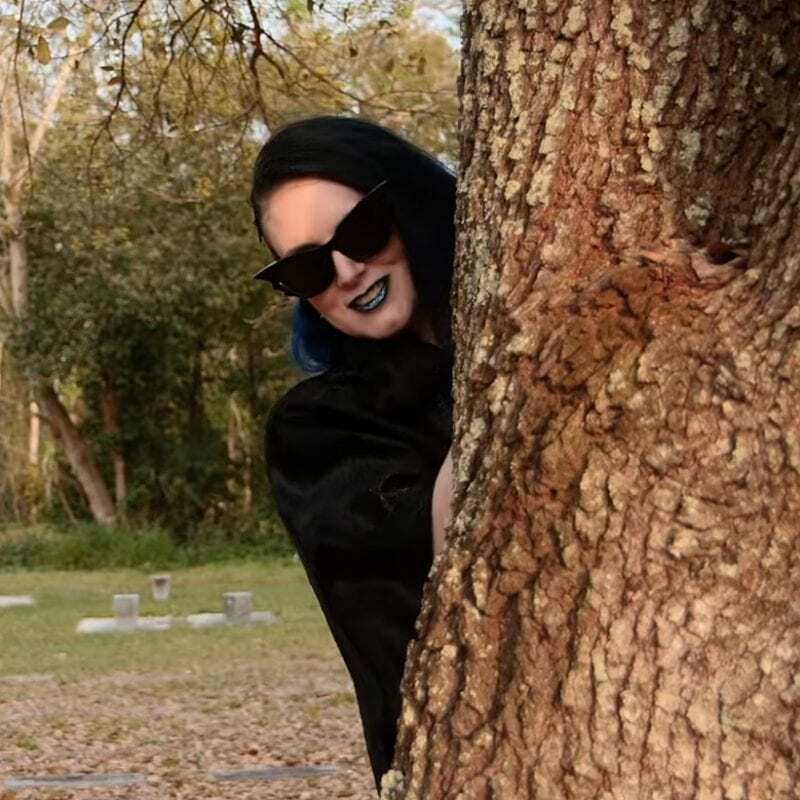 I found these awesome oversized gothic sunglasses which come in a multitude of colors. I opted for burgundy. Best of all, these are the most affordable option at only $10! Do you love to shop on Amazon? I do! I make the most of my free Prime shipping. 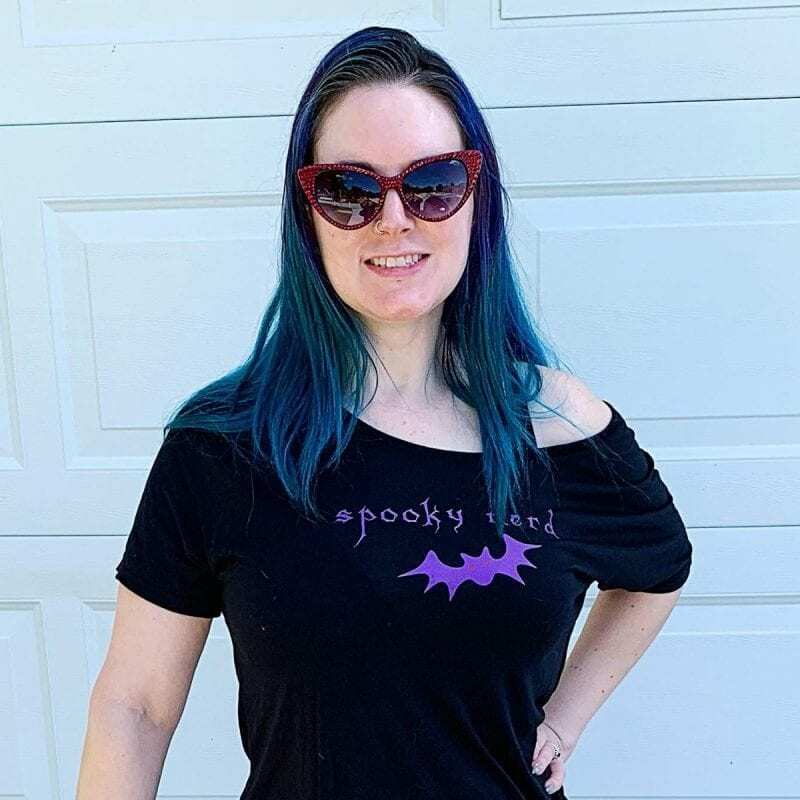 Be sure to watch my how to shop goth at regular stores to see how to save money while still sticking to your gothic style. Are you looking for spring work wear? Don’t miss my work wear corporate goth fashion inspiration lookbook! 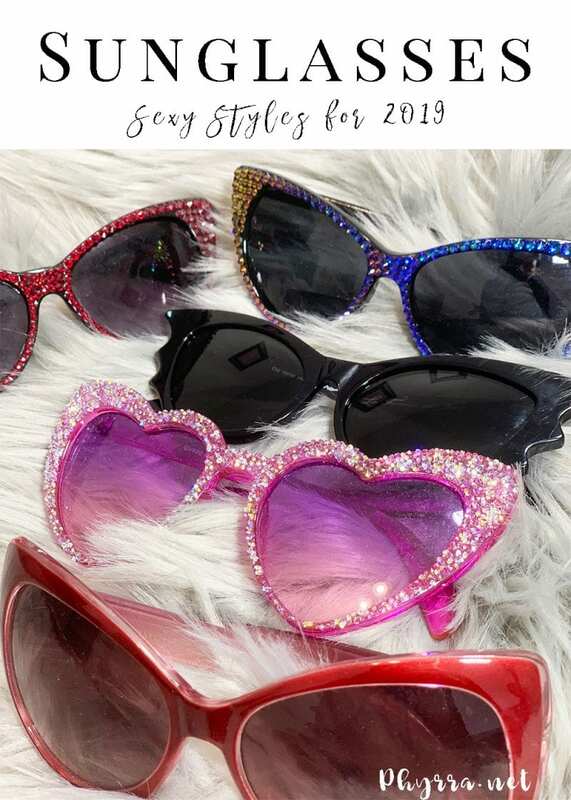 I adore ridiculously oversized sunglasses and anything Bunny Paige, so when I saw these swarovski pixie sprinkled Sugar Cookie Heart Sunglasses I had to make them mine! These are $49. They also come in red, blue, and I believe that Lauren just added a black sunglasses option! Did you know that Lauren from Bunny Paige meticulously sets all of the swarovski crystals by hand in all of her creations? They’re truly made with love! 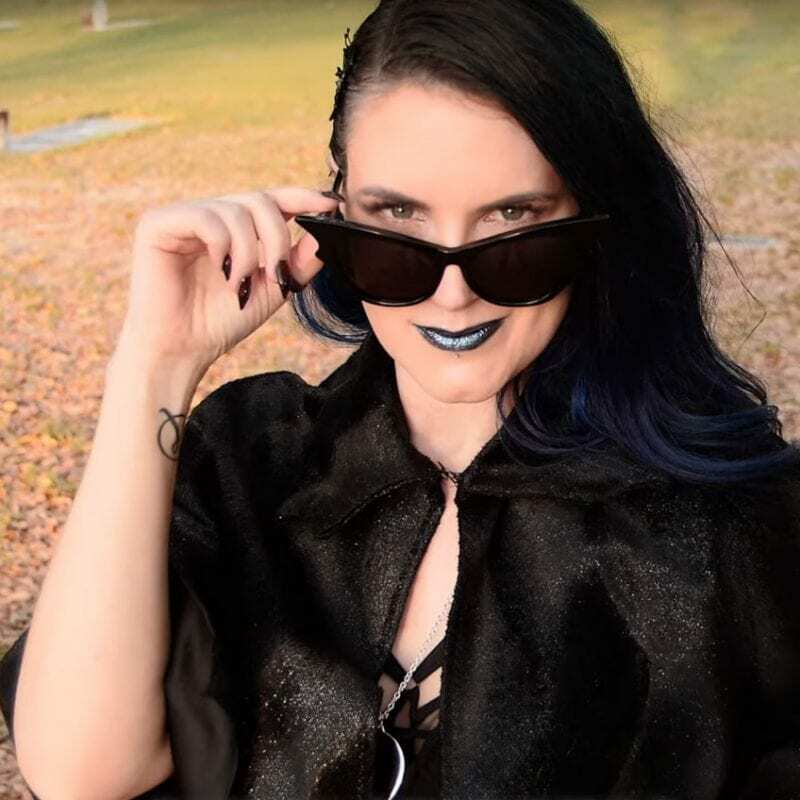 I LOVE my La Femme En Noir Batwing Sunglasses! They’re so gorgeous. They even came with a coffin sunglasses case. These are $86. I have yet to leave my home and not have at least one person ask me where to get them. When I was on my Key West Vacation recently, every place I went at least one lady, if not three, asked me about them. I even had a few guys ask! 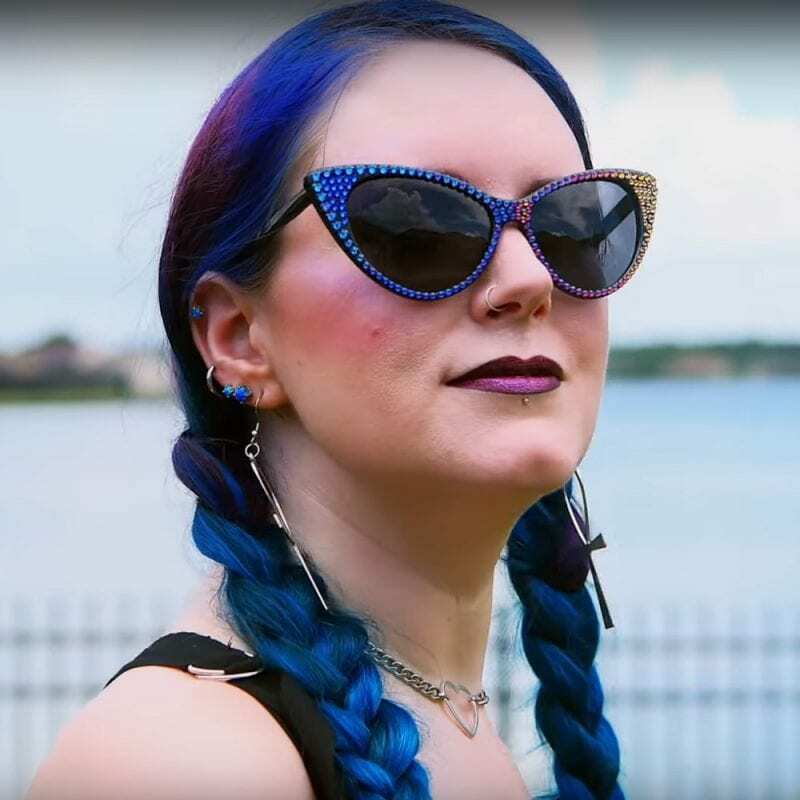 Bunny Paige’s Femme Fatale sunglasses are so amazing. They come in a ton of different colors. 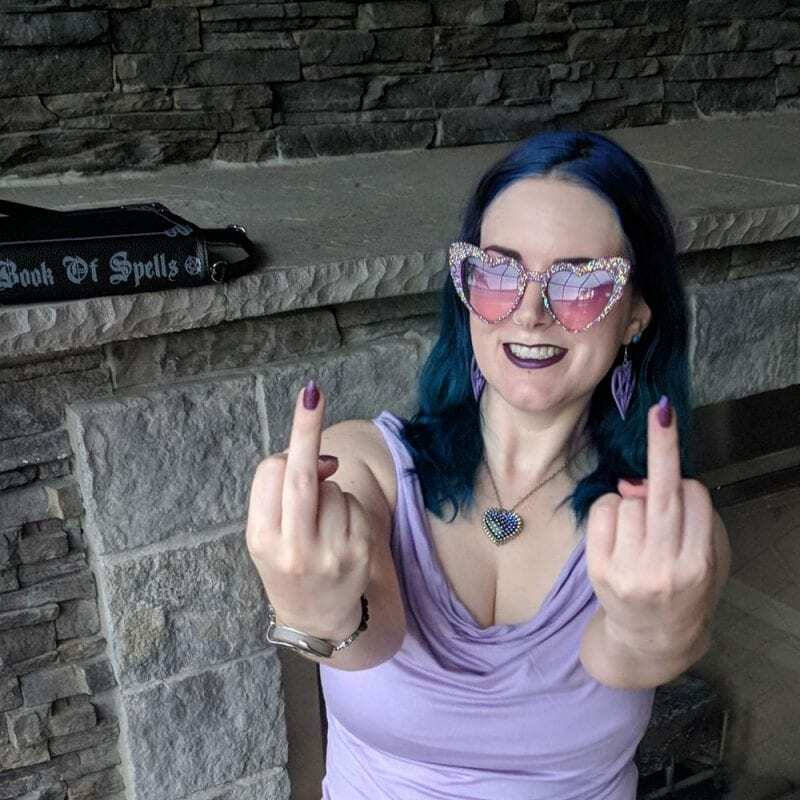 I have Meridian Blue and Blood Money, which are absolutely stunning sunglasses. These are $69. Not gonna lie, the Meridian Blue is my favorite. I love all the colors it shifts through. 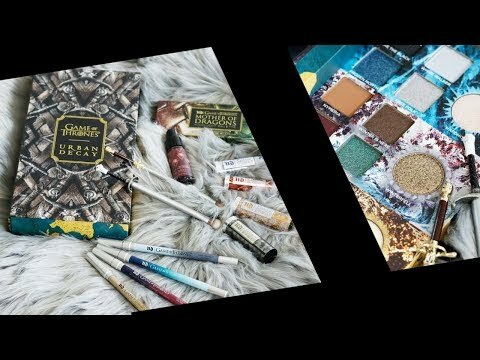 If you like duochrome or multichrome products, there are a lot of different options from Bunny Paige. 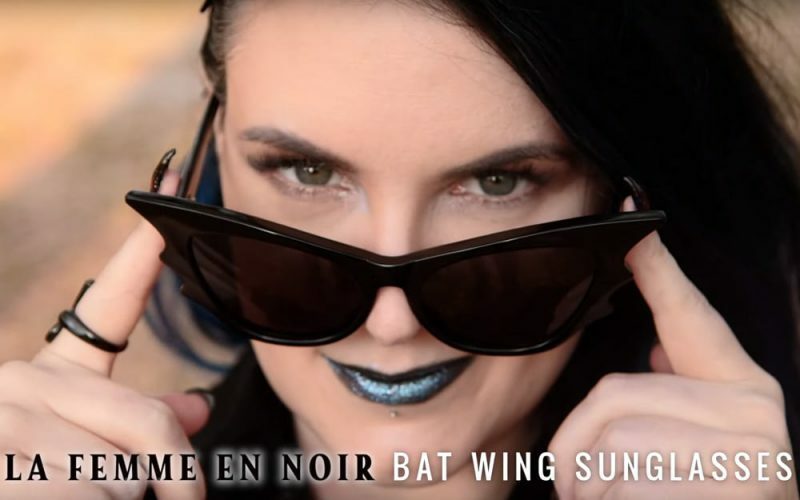 I wish I could partner with Bunny Paige and La Femme En Noir to create Phyrra Swarovski Batwing Glasses! No matter which of these stunning styles you choose, you will make an impression. Whenever I wear any of these sunglasses, people always ask me where I bought them. I love swarovski crystals all over everything! 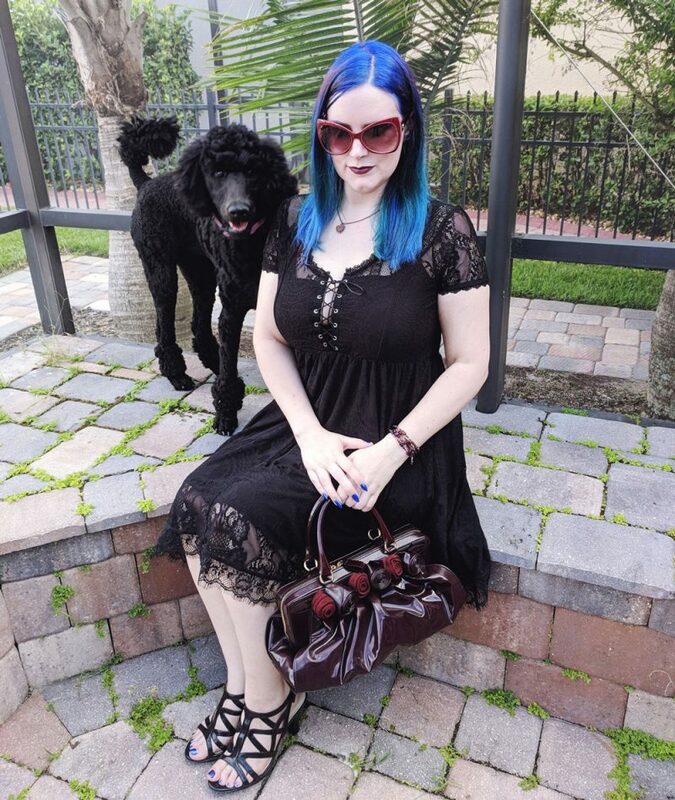 I enjoy standing out with my personal gothic style. The new season of Sabrina starts today! Watch my Chilling Adventures of Sabrina Fashion lookbook for magical fashion inspiration! What are your favorite sunglasses? How many pairs do you own?